Great Commercial development property. Ideal for Retail, Office, or Light Industrial use. Zoned CBDS. Easy access off 20th or ''J'' Street. 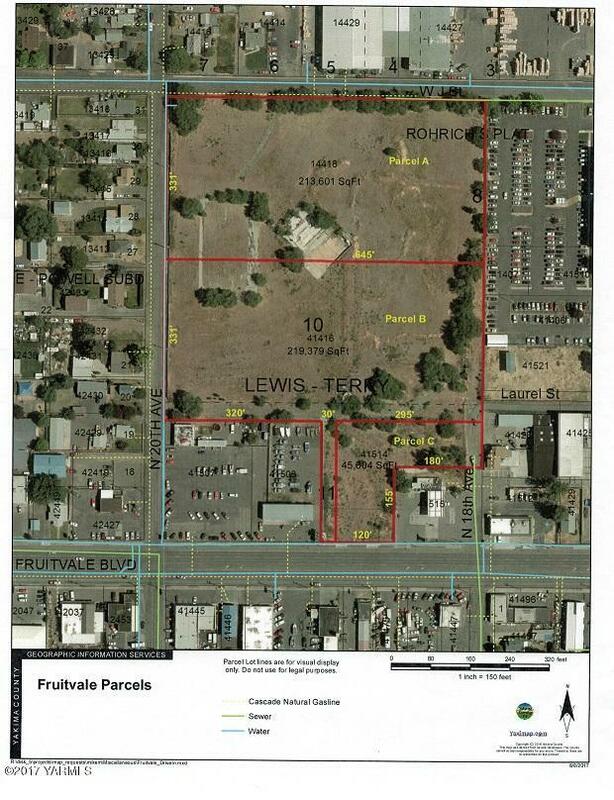 See listings for lot B and Lot C for adjacent lot info.Taxes for total of lots A, B, and C.
Listing provided courtesy of Jerry Mellen of Dedicated Realty. © 2019 Yakima Multiple Listing Service, Inc. All rights reserved. The data relating to real estate for sale on this web site comes in part from the Yakima MLS© IDX Program. IDX information is provided exclusively for consumers' personal, non-commercial use and may not be used for any purpose other than to identify prospective properties consumers may be interested in purchasing. Information is deemed reliable but is not guaranteed accurate by the MLS or Heritage Moultray Real Estate Services, LLC.. Data last updated: 2019-04-23T23:48:31.003.